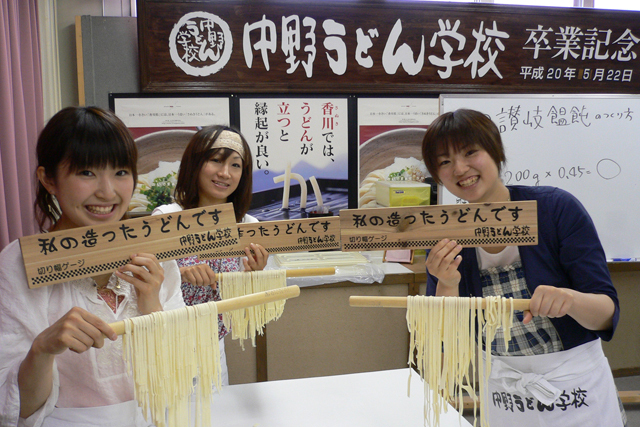 Learn handmade udon in authentic Sanuki fun at school! 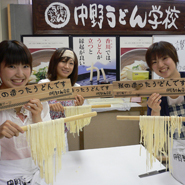 You can teach how to make udon noodles in 40 to 60 minutes. After making it you can sample it. It is completed in 45 minutes to 60 minutes, from kneading the powder, stretching it with a noodle stick, boiling and eating it. After making it you can sample it. The taste of udon that I make and eat by myself is a special taste!